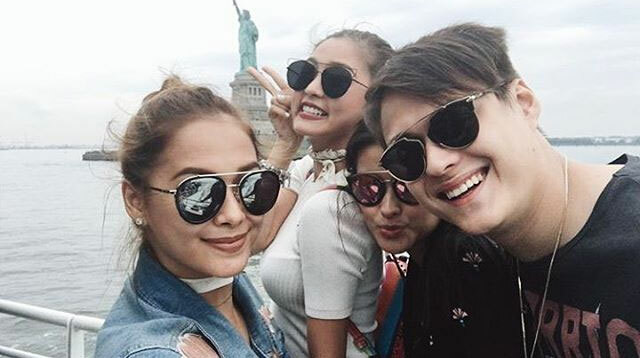 LizQuen, Maja, And Kim Are Busy Being New York City Tourists! Just like KathNiel and Gerald Anderson, another group of Kapamilya stars took time off from their #ASAPLiveInNewYork duties to see the sights of the Big Apple! What do you think of this foursome's matching highlighter yellow rain coats? PAK!